One of my earliest childhood memories is the time my family got robbed, right in our own yard. We were moving into our new house, and we left some boxes in the yard while we were fetching the others. Out of the blue, two very young men ran out from behind the house, grabbed two boxes, and then ran back and over the fence. The things they’ve stolen surely weren’t of much value to them, but they were of sentimental value to my family. This was a long time ago when CCTV cameras weren’t really common. Have we had cameras then, maybe the police would be able to find perpetrators and we could have our things back? CCTV (short for Closed Circle TeleVision) cameras are a common asset these days – at almost any corner, and certainly not without a reason. They are efficient in preventing burglaries and theft in the first place because their mere presence will make the criminally-inclined think twice if their intention is really worth the risk. Also, the footage they provide is that first clue, the first line of help when it comes to the investigation when crimes do take place. There’s really not a good reason not to have them in your home. There is a wide variety of security cameras to choose, and you can combine them so you can see what’s going on in literally every part of your home. They can be included in a broader home security system, or work on their own. Cameras can roughly be divided into two major groups – indoor cameras and outdoor cameras. They differ in terms of design, and also some other important features. But all cameras share some similarities which you should universally consider. Now we will examine important security features which you should consider when choosing cameras, so they can fit your needs flawlessly. Field of View is an area which your camera “sees“ and records. This affects the placement of your cameras, and also a number of them – different fields of view work for different spaces, and combining them properly is important to cover an entire property. Resolution is a feature that defines how detailed and clear will be the image from your camera. Needless to say that the higher the resolution – the easier it is to identify people’s faces, which could be important. Motion detection feature can notify you if it observes motion in its field of view. This way you can check for suspicious activity in the monitored space. Sound feature can make your camera emit a sound via speakers. Some can receive it via microphone. Movement the camera is capable of can help it cover a larger area than a static camera can. Night vision is camera’s capability of recording images in low to no light conditions. This is quite important since most criminal activities occur at night. WiFi capability helps your camera communicate with your home network wirelessly. By that it can be included in your „smart home“ system, but is also harder to violently disable, because it doesn’t have any cords to that could be cut. Nest Cam has high resolution and it seamlessly integrates with the rest of Nest Home Automation Suite if desired. It has a two-way talk-back capability and a whopping x8 digital zoom. The Nest Cam doesn’t have any movement capabilities, but with its capabilities, but since it has an amazing 130º field of view, you won’t miss it. The only downside is the high price of almost $200. But in the end, you do get what you pay for. The Vimtag 361 HD home security camera easier on the budget, but is a great investment for it’s price of just under 100$. It features a great range of motion and two-way talk-back, and a x3 digital zoom function. While the resolution of 720p resolution is not the highest one out there, it still counts as HD, so image clarity is almost guaranteed. Another “smart cam”, the Logi Circle’s price of $199.99 doesn’t seem so much when you look at its features: 1080p video quality, night vision, advanced movement detection and a two-way audio system. It also boasts in it’s innovative Day Brief feature, which smartly picks and records events and gives them back to you as nicely-edited and thereby shareable videos. 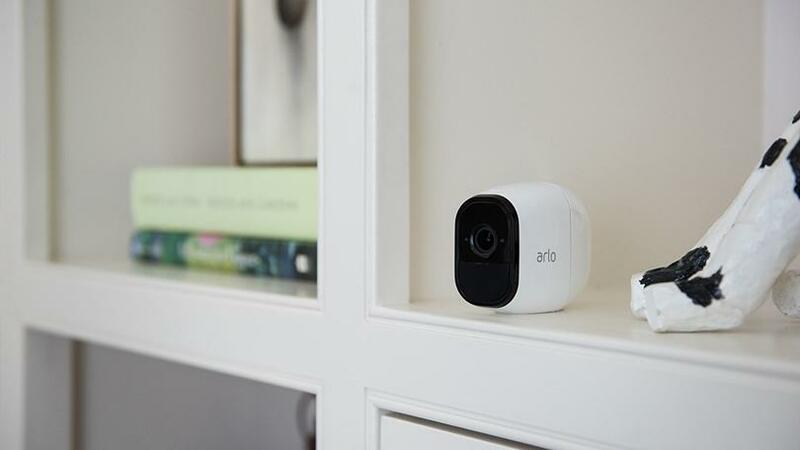 While the fact you can this sleekly-designed camera for fun and not just security is refreshing, the fact that it lacks common smart features – motion zone support and built-in siren is not quite so charming. QCAM boasts in its video quality. 1536p resolution is certainly impressive, and it’s one of the best cameras you can find when it comes to image quality, especially when it’s combined with a field of view of the nice 70°. It all comes at a fair price of $120. Nothing’s perfect though: downsides are the lack of sound capabilities, and a possibly difficult installation since it’s a stationary camera. If your budget is really tight, you can still make your home safer – the ZOSI 960H is just over $20, and it’s one of the most affordable, and still good quality cameras. It features a good field of view – 72°; its night vision range is nearly twice of what you would get with other cameras. It doesn’t have movement capabilities, and its image quality is relatively poor. Still, it can be a great solution if you’re looking for low-price home surveillance solution. At the other side of the spectrum, costing almost 10 times more than ZOSI ($199), Ring’s Stick Up Cam is an intelligent outdoor security camera. Its wonderful design provides for an easy setup even for those with little or no experience. Video quality (720p HD) is excellent, with a decent night vision. Perhaps the most advanced feature is it’s motion detection feature, with advanced zone detection; it is capable of alerting you via the device of your choosing. The built-in battery means it doesn’t need wires, which makes it tougher to disable, but it means you have to charge it every 6 to 8 weeks. If that’s too much, you have the option of attaching it to a power outlet, or even a solar panel. If you need someone to fit your home security CCTV cameras, check out Alert Watch a Dublin based CCTV installation company.